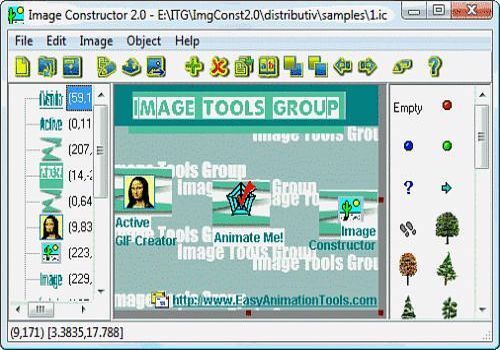 Image Constructor helps you to create original illustrations, structural schemas and diagrams, simple geographical maps and location plans in form of texts and small images over some background with picture or gradient fill and save them to graphical files. Key features: support of most popular image formats; use prepared or your own image collections; options for object(s) and image edition; illustration scaling; export to BMP, JPEG, PNG or GIF. Adobe is living in the times and offers to bring together in all applications and all your work in a single online space. You can retrieve your projects from any computer or mobile device. ACDSee Photo Studio Professional 2019 - established enhancement and management photo solution, ACDSee Pro not only stands the test of time, but continues to take on a constantly expanding list of improvements and new features. Snapchat Lens Studio is a software developed by Snapchat for all people who want to develop their own filter. The program has a database of elements to use but it is also possible to import 2 or 3 dimensional images. Affinity Publisher is a desktop publishing software that helps you layout your work. Different blocks are available and the program can even interact with other tools offered by Serif.